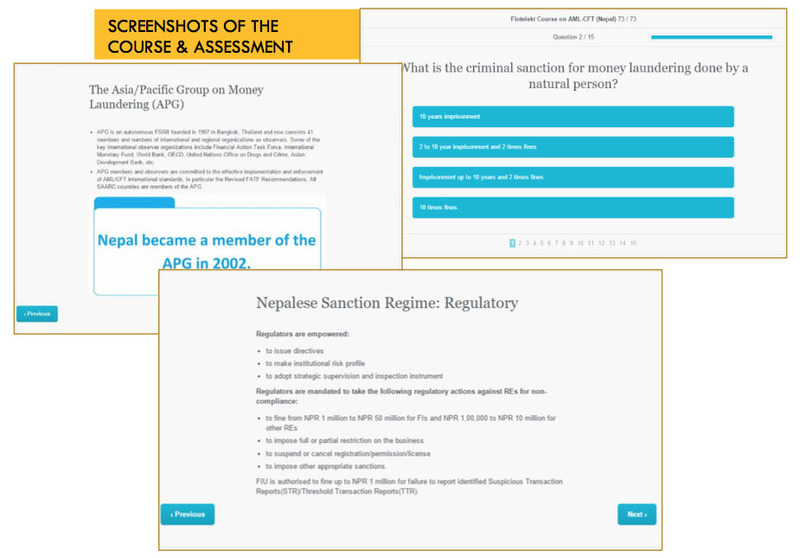 NBI, partnering with Fintelekt, India, has introduced e-based AML/CFT Certificate course in Nepal aiming to enhance the knowledge of the workforce at Banks, Finance Companies, Insurance Companies, Remittance Companies, Cooperatives, Securities and other Financial Institutions on Anti Money Laundering (AML) and Combating Financing of Terrorism (CFT). Fintelekt is an experienced provider of industry-reviewed, high quality, practical and cost- effective compliance e-learning products in India and Sri Lanka, through traditional and mobile platforms, which help organizations to reduce their risk, improve staff awareness and drive a culture of compliance in a sustainable manner. What Value can it Bring? 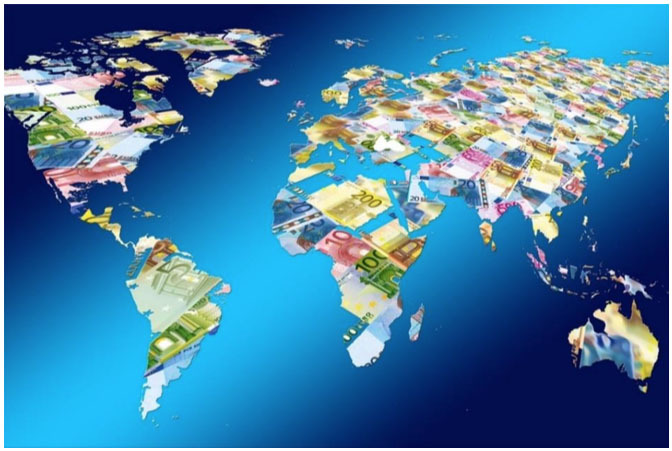 Compliance with AML and CFT regulations is an on-going effort for financial institutions. Implementing a high quality, yet cost- effective training program across all levels of staff can substantially reduce risks for the institution. Educate staff on fundamental concepts related to AML and CFT. Make staff aware of red flag indicators and suspicious behaviour that may be experienced when dealing with customers. Understand the reporting actions to be taken by the individual and the institution. The AML/CFT Certificate Course has been developed after in-depth consultations with industry practitioners and AML experts in Nepal. Faced by most institutions is the difficulty in conveying continuously to their staff the true risks of handling the proceeds of crime, and as a result expose their institution, management and staff to penalties by regulators and law enforcement agencies. The content encapsulates decades of specialist experience and is combined into an easy-to-understand module that includes case studies. The course can be viewed any number of times before the deadline. The course takes approximately one hour. Every page needs to be accessed before the assessment is unlocked. Trainees have to answer an assessment at the end of the course, which is based on theory, case studies and practical situations. The assessment takes approximately 20 minutes and consists only of multiple choice questions. Respective organization sends a data file to NBI with the name and email ID of each employee to be trained. Fintelekt creates unique login credentials for each trainee to access the training course and assessment online. NBI informs respective organization (RO) and RO further informs trainees that they will receive an email from Fintelekt and the deadline by which they need to complete the course and assessment. Fintelekt triggers an email to each trainee containing the login details and instructions. NBI sends a fortnightly report to RO listing completion and assessment status of the designed employee.